The purpose of holding a conference or meeting with your colleagues may vary. Perhaps it is to brainstorm & collaborate ideas, to team build, or simply a space to communicate a presentation. No matter what the purpose of your meeting, the vast majority of business owners know the importance of scheduling conferences. If you are planning to schedule a conference; add something different to your regular agenda. Check out this fun article from Slido for 5 new ideas. 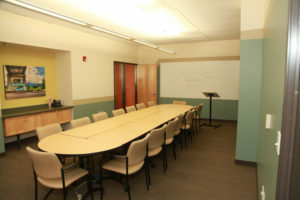 With a variety of three Conference rooms to choose from ExecuTech Suites offers a location near the PDX Airport and one in Hillsboro. We can supply the location for you to host your creative conference. Call or email to reserve your conference today!